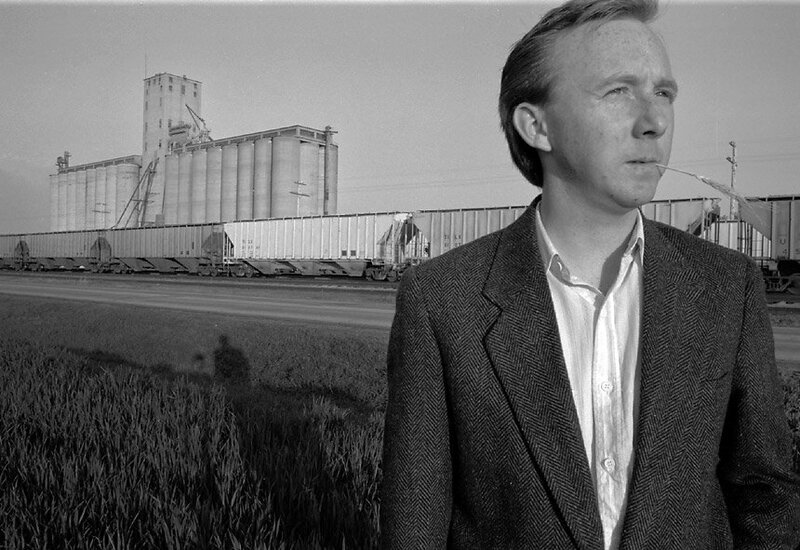 Ben has worked as a photojournalist and photo editor for daily newspapers in Indiana, Kansas, Maryland, Missouri and North Dakota. Ben has more than 10 years experience as a page designer and graphic artist. He was on the Ball State Daily News team that took honors for the Society for News Design World’s Best Designed Newspaper (1997). 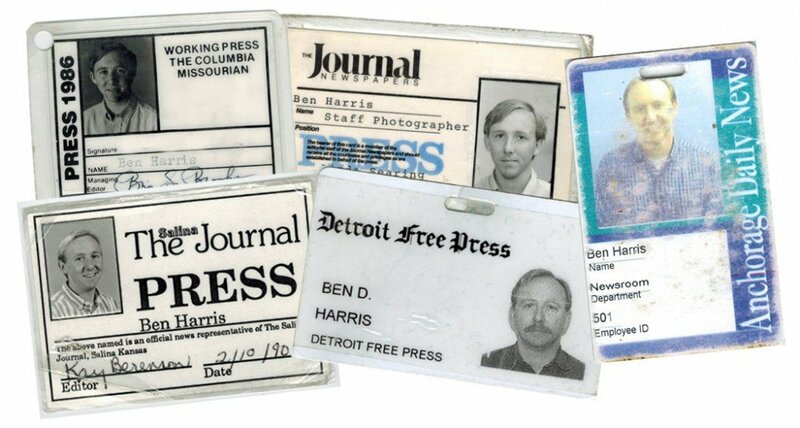 After completing a design internship at the Detroit Free Press, he moved to Alaska and joined the staff of the Anchorage Daily News. At the Daily News he created magazine, features and news pages and informational graphics. Ben worked on the redesign of the website for the Anchorage School District. He collaborated with staff to develop and present Web and digital content for a community of 300,000 with 50,000 students and 6,000 employees. Today, Ben is a digital and social media manager for an organization in Anchorage, Alaska. I wrote a newspaper story about the U.S. Air Force Thunderbirds and got to take an hour-long media flight. We pushed .9 mach and did 9 Gs. I actually got to take the stick for several maneuvers. I enjoy swimming, and have been active in the Swimming with Alaska Masters workout group since 2010. 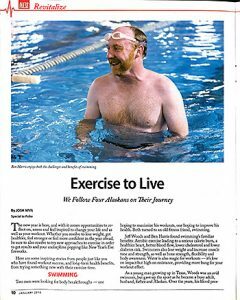 Here’s a profile of me in the Anchorage Daily News that explains how and why I got involved in Masters Swimming.